Want to give attractive offers but tracking them seems too difficult? 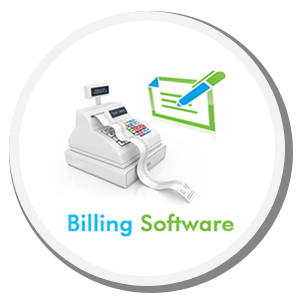 Get hold of Easy Billing Software Now!! Easy Billing Software is a completely automated powerful online billing and invoicing software that helps you to sell you products, generate invoices and collect payments easily and effortlessly. You can store all your different offers or coupons in it and once a bill qualifies for an offer, a notification prompt pops up which you can accept to apply that specific offer and discount the amount automatically. The Easy Billing retail POS software is developed after in-depth understanding of the business sector using the latest frameworks while still supporting most existing hardware. With support for a single system like a laptop to a network of systems run by multiple servers, Easy Billing is also quite scalable and flexible. It is user friendly with intuitive touch screen + keyboard & mouse technology and is also periodically updated absolutely free of cost. If you are a retailer or a shop owner who’s looking to streamline your billing process quickly and affordably, Easy Billing invoice software is right for you! Keep track of your stock levels, move inventory between warehouses, generate reports and stay on top of all your warehousing needs using our online Inventory Management Software. It helps keep track of all your orders, both online and offline from one central location, right from order delivery. Never lose your products again. Also, with integrated shipping options, you get access to real time shipping rates and transit info. Inventory Management has been made with the latest technology and after in-depth understanding of the requirements of the warehousing sector. With support for single as well as multiple systems, it is highly scalable and is also updated periodically with free updates.